Gold Foil 23.5K Larger than the art clay gold foil. About the same price per gram. 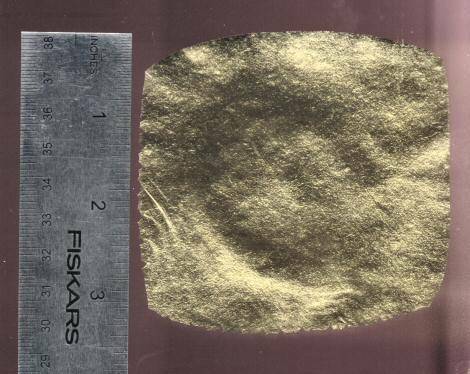 This sheet of gold foil is perfect for keum-boo (also Kum-Boo, Keum-bu, Kum-bu - Korean "attached gold") on Silver. The gold foil sheet is thick enough to be cut with small scissors.